Applications are invited for the position of one Project Fellow in a collaborative research project with Lincoln Memorial University, USA for a period of one year. Essential qualifications: M.Sc., Microbiology with a minimum of 60% marks (6.5 grade points on a scale of 10). For SC/ST category, the candidate must have secured a minimum of 55% marks (6.0 grade points on a scale of 10) in the Master’s degree. Preference will be given to the CSIR-NET/UGC-NET/DBT-JRF/ICMR-JRF/GATE qualified candidates. Project Duration: One year or up to the termination of the project, subject to annual performance review. The project fellow position is purely on temporary basis and will be terminated along with the completion of the project. How to Apply: Interested candidates may send their applications with full bio-data through e-mail natarajaseenivasan@bdu.ac.in to Dr. K. Natarajaseenivasan, Professor, Department of Microbiology, Bharathidasan University, Tiruchirappalli – 620 024 on or before August 15, 2018. 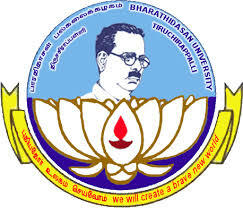 Only shortlisted candidates will be called for Interview at Bharathidasan University, Tiruchirappalli – 620 024 and no TA/DA will be paid for attending the interview.